EXT.NET is an ASP.NET component framework built with Sencha Ext JS. Boost your production speed with 100+ components and 750+ examples in the Examples Explorer! Spending countless hours trying to make your app cross-browser compatible is a thing of the past with Ext.NET! 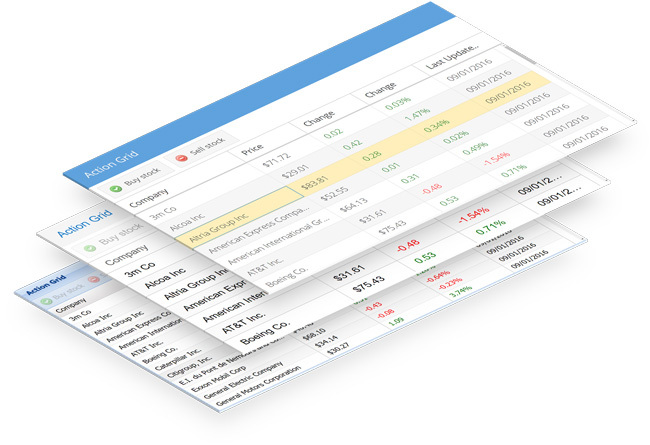 All our components are tailored to be 100% cross-browser compatible with all main stream browsers. Ext.NET comes with 100+ components and 750+ code examples, ready to use in your ASP.NET web application. 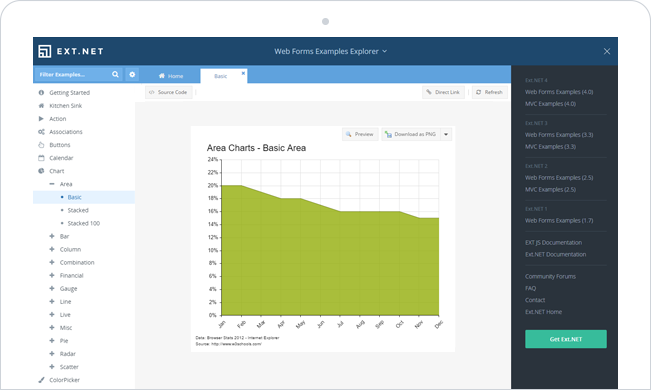 See Examples Explorer to browse all examples with source code. No need to have a designer or CSS expert on your team, simply choose a theme and start building great looking, usable interfaces with ease. With Ext.NET, worrying about cross-browser compatibility or user experience issues is a thing of the past. 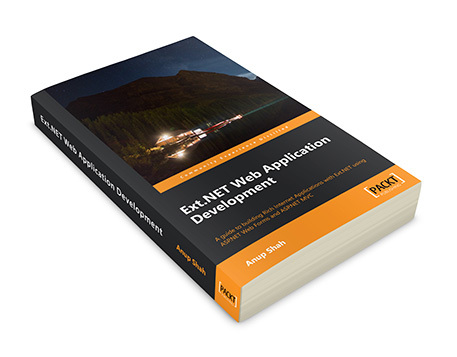 Build rich web applications using the power of Ext.NET. Build polished working applications, with clear step-by-step instructions all the way. We pride ourselves on being as available as possible to Ext.NET developers. If you have any questions or would like to chat, don’t hesitate to get in touch. Ext.NET is free to download at any time so that you can test its power. We are trusted by hundreds of customers in more than 90 countries all over the world! 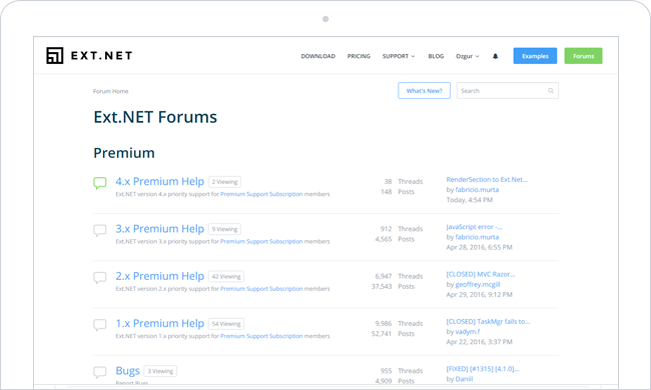 I am sure you hear this before but your (EXT.NET) premium support is outstanding. You go above an beyond always. Thank you for you help in our EXT upgrade. Ext.Net is the true productivity multiplier and it is an amazing experience to discover. For that I am grateful. Great product and great support. You all make me looked like a WIZARD when I show the sites I develop to the customer. I just wanted to say that, without a doubt, I have never had support as great as I have had with the ext.net team after becoming a Premium Member. I wanted to say thanks to all the great support staff at EXT! We are close to wrapping up our first project using ext.net controls, and we could not have done it without you guys. When having premium support you get quick response here on the forum and usually in-depth examples and help which is much appreciated.